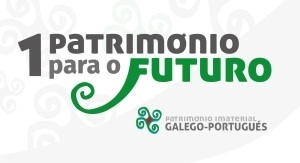 Santiago Veloso: “Ten years later, it’s the moment to come back with the candidacy of the Galician-Portuguese intangible heritage of Unesco” | Ponte... nas Ondas! Ponte… nas ondas! will commemorate this sixth exhibition for all day long, twenty years after the first steps of an initiative towards a common project between Galician and Portuguese schools through the radio. But Ponte… nas ondas! was and is more than that. We talk about its history and project with the promoter, Santiago Veloso. You can follow here the emission in live..
— Ponte… nas ondas! commemorates twenty years. How is going to be the conference where more than fifty education centres participate through the radio? It consists in a very special edition because we complete a period of twenty years, two decades in which Ponte… nas ondas! has been progressing, renovating and adapting itself to different moments. We started being a radio experience, after that we went over the radio through Internet and, finally, to the television on the net. This edition is a mixture of all those formats. We are going to have radio by waves, with Broadcasting, by Internet with the retransmission through the UVIGO and programs in podcast format. — What “community” moves around the project? As teachers, we are conscious that sometimes the process is more important than the final result. Of the elaboration of a radio day, a lot of times is more interesting, on the educational level, the previous work than the own day of the emission. A teacher that is sensitive to do radio, prove that he has also a particular way of teaching, of understanding the education as a real asset where students are the main actors. The stars of Ponte… nas ondas! are also the student body. — How many students participate on the radio program? There are 54 education centres, elementary schools, secondary schools, Official School of Languages, departments from different universities. We also count with the collaboration of some community radios. There are a lot of students and teachers involved and, like in others editions (but in this case in a special way), the world of culture, music and literature were included on the experience. This year we made special emphasis on the literary creation because we think that it has to have a clearly presence like a form to move the student body close to the people that create on a direct way. — One of the keys of the initiative is the cooperation between Galician and Portuguese schools, how is the response of Portugal? On the part of education centres, its response is the same that ours. Not in number, because they are less; but from the point of view of the development, the response is the same. Teachers work voluntarily and it isn’t an activity established on the system. We have a loyal faculty and some schools that join us in every edition. The fact that the experience isn’t regulated by the education system make it difficult to have a regular participation of the centres. 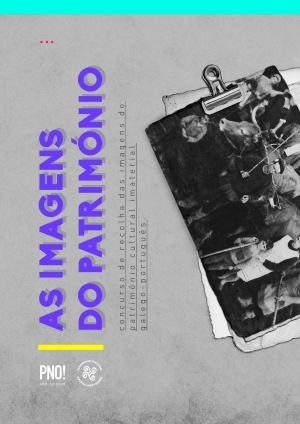 — How is going to be that participation of Portuguese writers? We ask them to join their voices because the radio is an oral way. We wanted that the student body knows the authors with a direct lecture of their work or a greeting that can bring them closer. We considerate that, just as they have knowledge of celebrities from movies or football, they also have to have it from literature. We count on the participation of writers like Pepetela, Agustín Fernández Paz, Suso de Toro or Rexina Veiga. — Twenty years invite to make a balance. As the promoter, how do you value the history of the initiative? The most satisfactory, from the educational point of view, is the paper that it had on the pedagogical renovation, at the end of the past century and at the beginning of this one. Xosé Manuel Cid, from the Department of Learning Sciences from Ourense, that is managing a thesis about Ponte… nas ondas!, told us that, to them, is a perfect example of integration in different fields and an experience that combines educations, the ICT, heritage and media. For us, is a satisfaction that after twenty years, is still a guide to researches of the University, who are those that analyse the process and social changes. We also enlisted in more specific, nice and varied aspects, specially, in the diffusion of the Galician-Portuguese common heritage, above all the intangible heritage, that were kept greatly in mind and we wanted to valued that. — And if you must have to outlined some of the facts that would be milestones on the history of these twenty years? These days, I have been speaking with Agustín Fernández Paz and he told me that in 1998 we had made the first radio emission via Internet. This year, nobody emitted yet and we did it because Telefónica gave us the possibility to do the first streaming. It had made debate even on the faculty that participates. Next year, we emitted the pictures via Internet, with a camera placed on the Casa de la Cultura from the city of Salvaterra. We made the program “Pintando nas ondas” where a painter painted the things that people told him through calls in live. A third milestone happened in 2000, when we did a professional trialogue video conference, with a school from Rio de Janeiro, another from Maputo and a connexion from Salvaterra. Another very important aspect is that the experience unchained a lot of activities on the centres about the subject that we proposed. During the school year 2001-2002 we already addressed the subject of the intangible heritage when Unesco has just proclaimed the first masterpieces and we started the work of highlighting the common heritage of both sides. — Where the road will lead in the future? Nobody knows! If you had done us this question twenty years ago, we wouldn’t have imagined this present. See that on the middle, Internet was born and everything has changed. Ponte… nas ondas was being adapted to different realities. At this moment, social networks suppose a new way to spread information and it’s evident that the education system is going to change. This year we want to prove that this experience has a variety of possibilities and that they open new ways to make projects. We also consider the idea of commemorating in some way these ten years of the “Meninos Cantores” and of the presentation of the candidacy to intangible heritage. Ten years passed and the initiative stood there, but on this way, the flamenco, that has been presented then, it’s now registered in that sense. Now is an administrative measure. Everyone is already conscious of its relevance and it fulfills the involvement of the institutions. New important lines are opened through the initiative “Paz Andrade”. Enjoying the ephemeris, it could be interesting to pick up this initiative from the centres and that the civil society claims the administration commitment to the defense of our heritage in front of the Unesco.